For those of you who have followed the Chez CO blog since the beginning, or who are regular clients at Galerie CO, you have already been introduced to Caroline Boyce, the creator of Floralia. 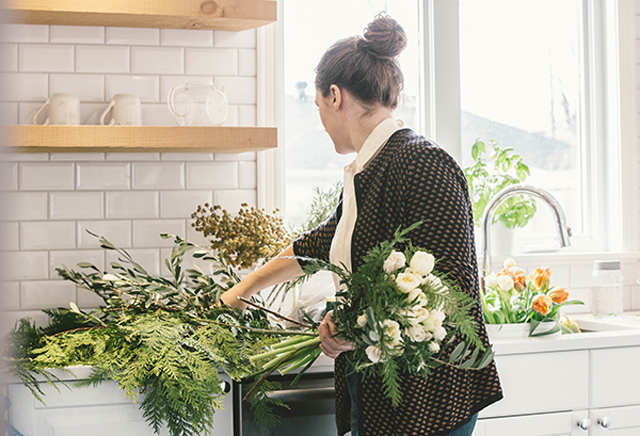 She has been supplying CO with beautiful bouquets of fresh, local flowers grown in the summer on her plot of land in the Eastern townships, and in the winter sourced from a fair trade supplier. 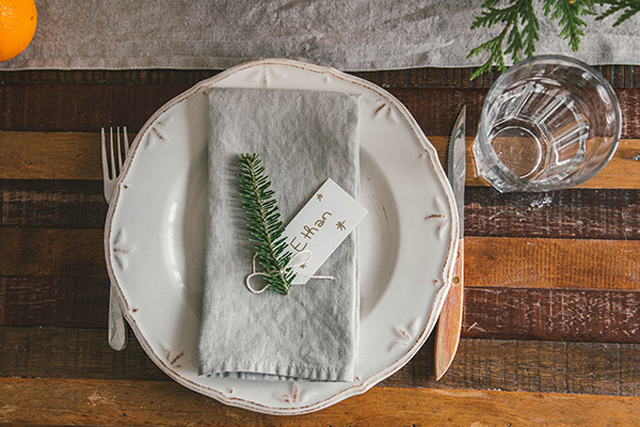 This week, we asked Caroline to share some of her ideas for creating a beautiful holiday themed table setting. Her approach shows that by adding a few carefully selected elements, even a little bit of effort can make a big difference. 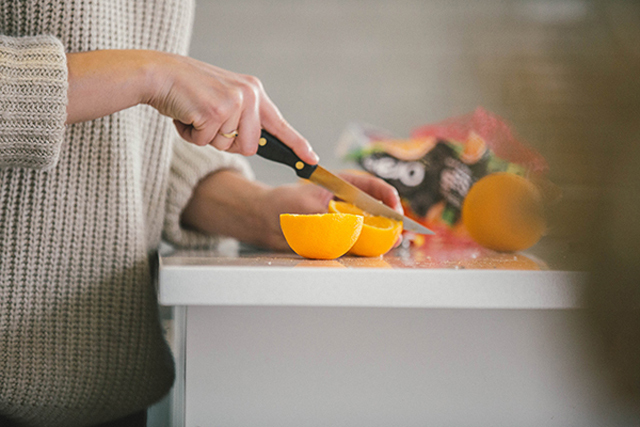 • Keep the table simple. You can use the same cutlery, plates and glasses that you use throughout the year. • A simple runner adds a lovely visual element without overwhelming the table setting, and is especially suited to a long rectangular table. Linen adds texture and works well with wood. A linen runner can be matched to linen napkins. • A colour theme helps tie the elements in the table setting together and to set a mood. Feel free to select colours outside the traditional red, green and gold. 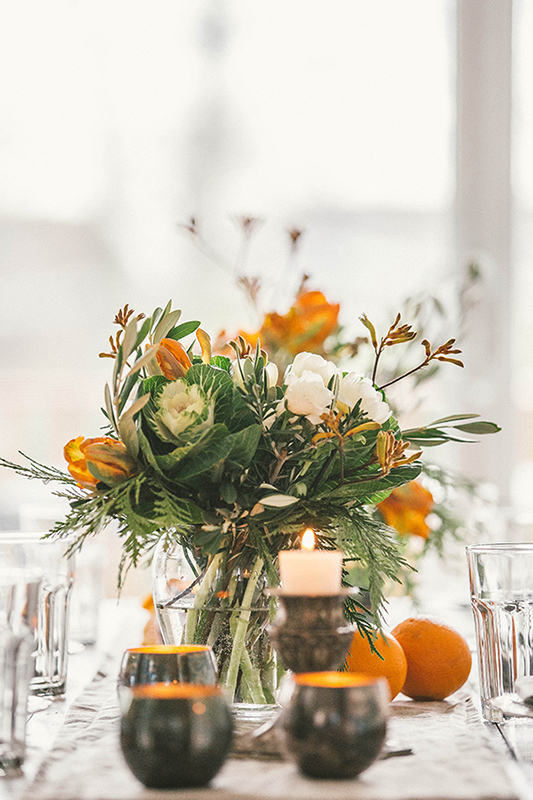 In this case the table is highlighted with orange, inspired by clementines, which are always available over the holidays and often appear in Christmas stockings. 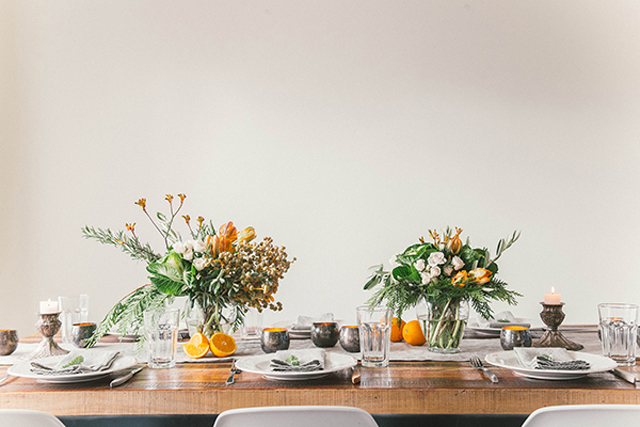 Orange works beautifully with silver, white wood and shades of grey and beige. It also complements, and is enhanced by, the warm glow of the candles. • Choose flowers that you love and can afford, mixing textures to create interest. In these bouquets, kangaroo paws and rosemary give the bouquets height. Volume comes from cabbages, tulips, spray roses and dates, which add an interesting visual element. • Select candles that are low and that don’t compete with, but that complement, the flower arrangements. • Add festive name tags as a final touch. Make your own by simply attaching small branches of evergreen (you can cut a few pieces from the Christmas tree) with a string and paper tag (available at any art or office supply store). There is still time to order your own centrepiece from Floralia, for delivery (within Montreal) in time for the holidays. Order Christmas bouquets here. Or, learn how to create a holiday centrepiece at the next Floralia workshop: December 20, 7-9 pm. The theme flowers will include amarylis and seasonal evergreens, combined with local freesia, lilies, paperwhites, citrus fruits, holly, mosses and berries. Under Caroline’s guidance you will create a beautiful centrepiece, which is yours to keep. The workshop will be held at Galerie CO (5235 Blvd. St-Laurent, Montreal, 514 277-3131). You can sign up for the workshop here. 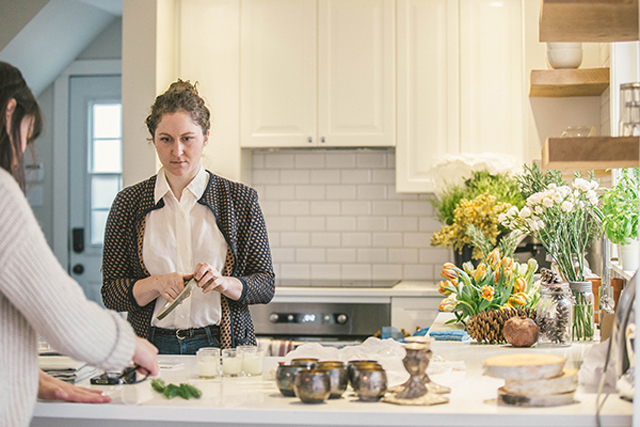 All the photographs in this post were taken by Melodie Hoareau, from Instant d’une vie, and made available to us courtesy of Caroline Boyce of Floralia. 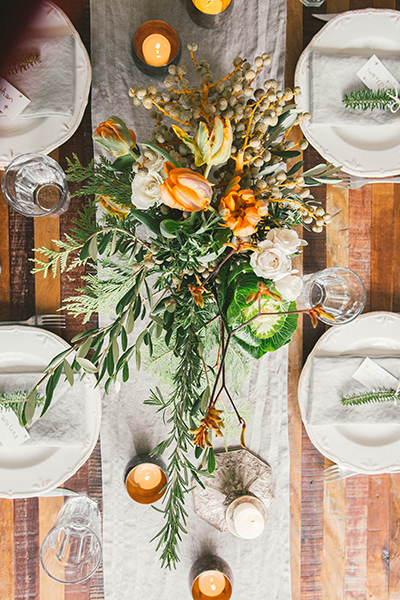 How do you decorate your table for festive occasions? Which flowers would you choose for a holiday centrepiece? Let us know in the comments below, or on our Facebook page, on Instagram or Twitter @galerieco. It’s December. 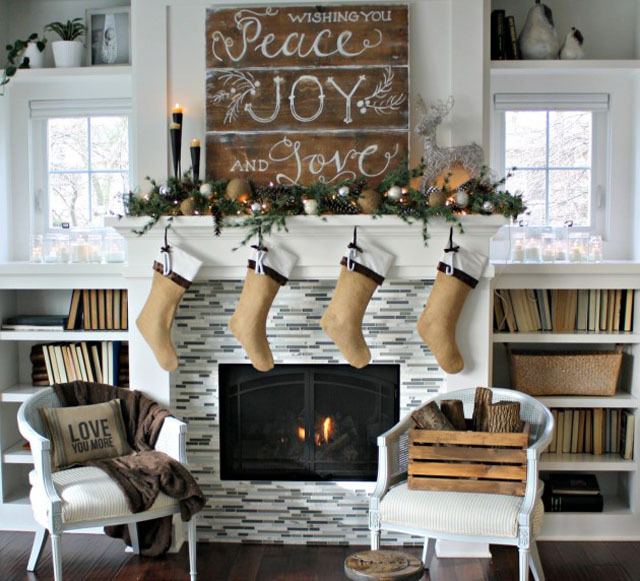 Time to think about decorating the house, inside and out, for the holidays. 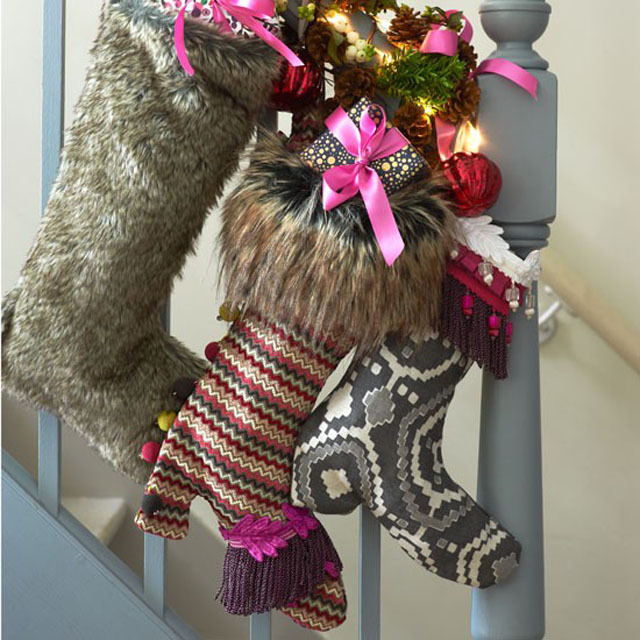 One way to add an instant feel of festivity is to line the mantlepiece with stockings. 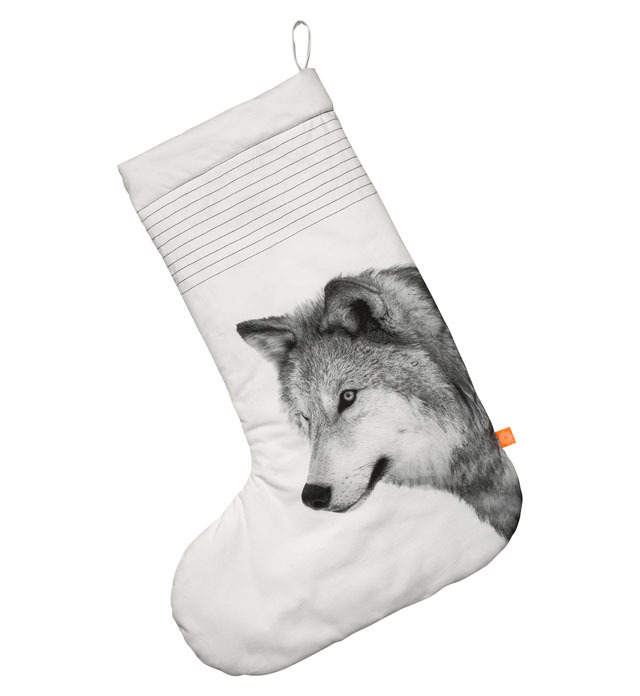 But Christmas stockings aren’t mere decorations. First and foremost, they’re receptacles for holding gifts! That is, for children who have been nice rather than naughty. 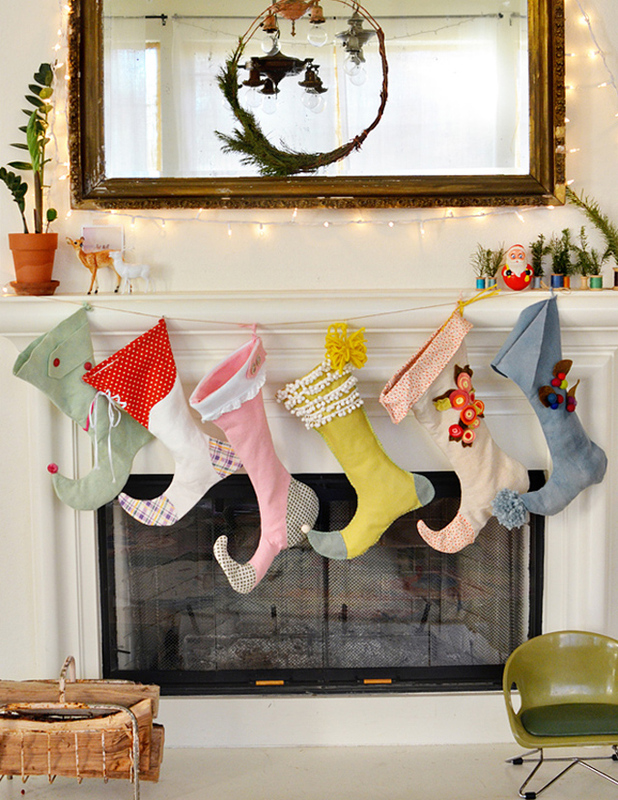 It is tradition among some, to hang stockings by the chimney on Christmas Eve to be filled by Santa Claus as he does his rounds delivering presents. The evolution of some of our Christmas traditions are a little murky and there are few written records to help. One of the oldest reference to St. Nicolas goes as far back as the third century. The ancient town of Myra, located in what is now modern-day Turkey, is home to a shrine dedicated to Bishop Nicolas. Over several centuries, tales spread detailing the benevolence and generosity of Bishop Nicholas, and some content that this is where the idea of St. Nick as a gift-giver began. Another story holds that the notion of St. Nicolas, a magical night visitor who gave gifts to children, originated with a group of nuns in the Middle Ages. Children were encouraged to leave their shoes out, for gifts. However, St. Nicolas would only leave treats and toys for children who had been good. For children who had been naughty throughout the year, he left sticks, horse manure, sawdust or lumps of coal. 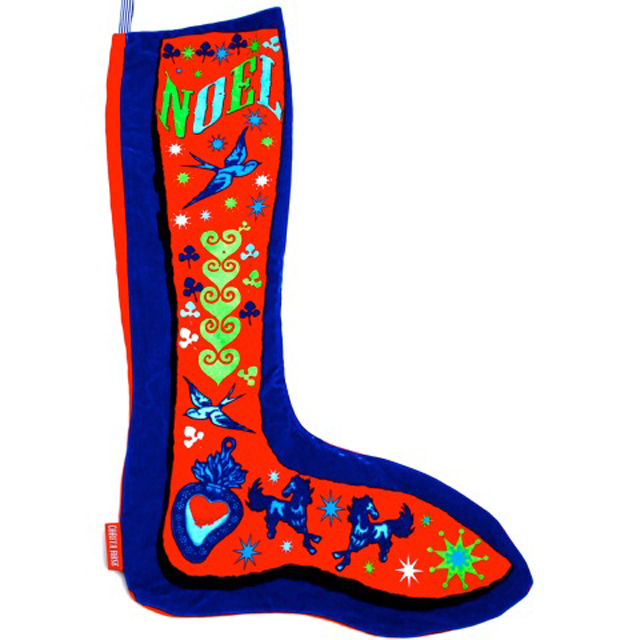 Shoes eventually gave way to socks, which gave way to Christmas stockings. Yet another legend maintains that Saint Nicolas learned about a poor man who worried that he couldn’t afford to pay a dowry for his three daughters. Saint Nicolas decided to help the man, and he took three bags of gold with him down the chimney of the man’s home. Once inside, he found the girls’ stockings hanging on the mantelpiece after washing, and he added the gold bags to the stockings. As the story spread, children began hanging their own stockings in the hopes of receiving gold, or at least gifts on Christmas Eve. Nevertheless, it is clear that by the 1800s the idea of St. Nick going down the chimney to fill stockings left out by children was an established part of the Christmas landscape. 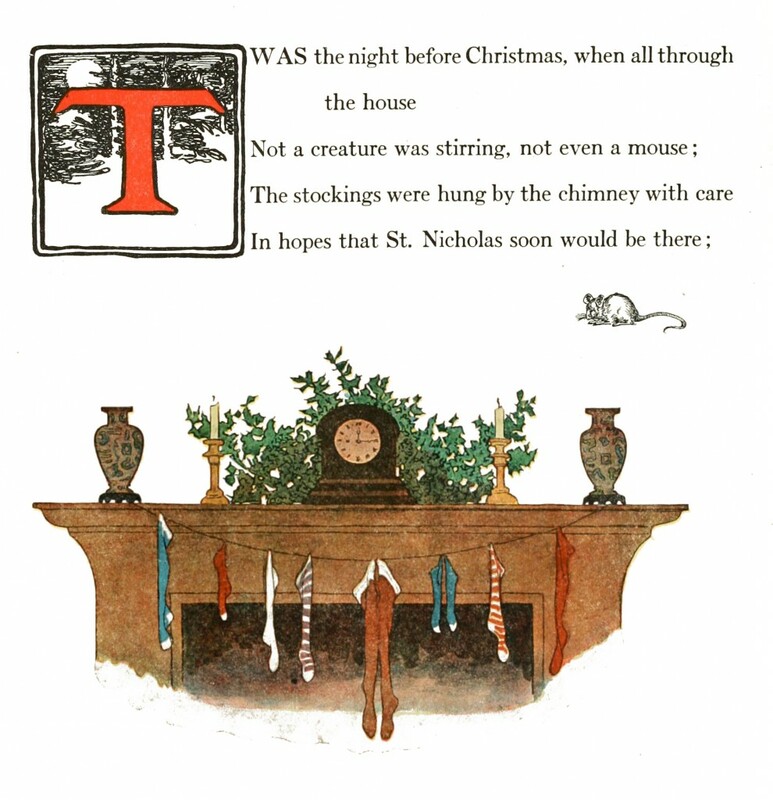 Stockings feature large in on of my favourite Christmas classics, the poem Twas the night before Christmas, written in 1823. 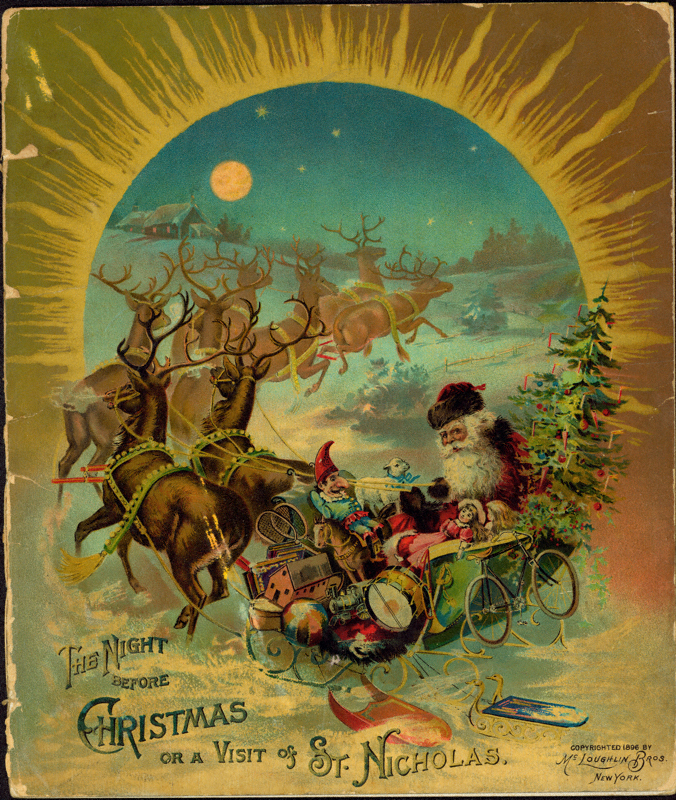 In the poem, St. Nick is portrayed as driving his reindeer from house to house on Christmas Eve to deliver presents and stuff the stockings. 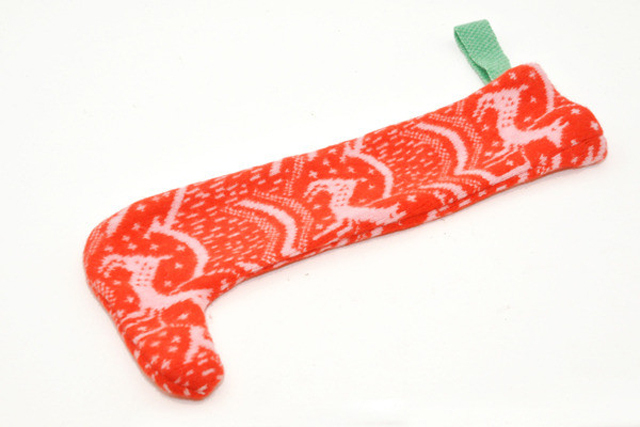 For those of you who wish to try your luck with St Nick, we have a beautiful selection of stockings this year at Galerie CO.
You could also try and make your own stockings. 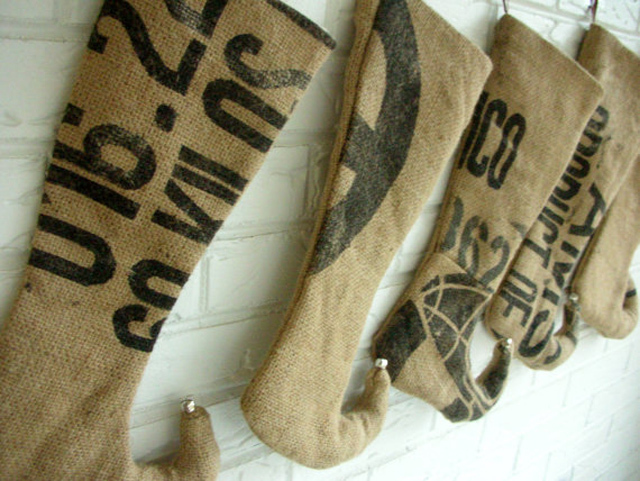 There are several resources on line that offer tutorials for how to make stockings using lots of natural or repurposed materials. 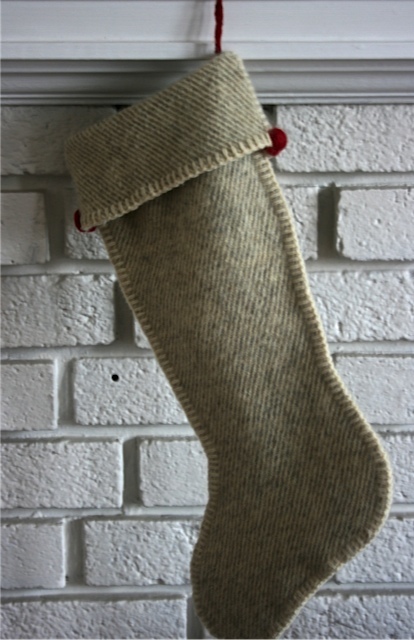 If you’re a little nostalgic, like me, and you love the 1823 poem, here it is again just in case you need a little inspiration to get to work on some unique and beautiful stockings to decorate your own home for the holidays. What are your gift giving traditions?